What is Off-Balance Sheet Financing? 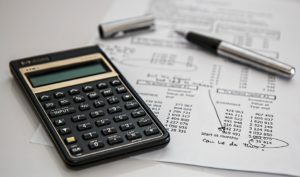 Off balance sheet financing lives up to its namesake by featuring business related expenses that are not recorded on a company’s balance sheet. Some people assume that it’s illegitimate or otherwise prohibited. However, off-sheet financing is perfectly acceptable, assuming it’s done correctly. To learn more about what is off balance sheet financing and how it works, continue reading. As a business owner, you probably make a variety of business related expenses. This may include operating leases, product inventory, research, overhead, etc. To fund these and other business related purchases, business owners often seek debt financing. A traditional bank-issued small business loan, for instance, is a form of debt financing in which the business takes on debt in exchange for funding. All debt financing transactions are recorded on the balance sheet and cash flow statement. But if a business wants to finance projects that they own, the debt may not appear on the balance sheet and cash flow statement. This is essentially off-balance sheet financing. So, what makes off balance sheet financing a good option for businesses to consider? It basically reduces the company’s debt to achieve a lower and more desirable debt-to-equity ratio. As you may already know, having a low debt-to-equity ratio improves your credit “worthiness” in the eyes of lenders. If your ratio is low, you’ll have an easier time getting approved for debt financing options, including traditional small business loans. It’s also worth noting that many debt financing options require the borrower to maintain a certain debt-to-equity ratio. Known as “debt covenants,” it’s important for business owners to meet these obligations; otherwise, they could be subject to hefty fees and penalties — or in some cases, the business could default on the loan. One common example of off-balance sheet financing is an operating lease. In this example, the lessor maintains the asset on the balance sheet, while the company who is leasing the asset reports it as a rental expense. Conversely, a capital lease appears on the lessee’s balance sheet. Hopefully, this gives you a better understanding of balance-sheet financing and how it works. This article brought to you by Intrepid Private Capital Group – A Global Financial Services Company. For more information on startup and business funding, please visit our website. What is a Mezzanine Loan? What Does Venture Capital Mean? Private Equity vs Venture Capital: What’s the Difference? How to Get Startup Money for a Business?